‘Nowhere But Home’ was a 2013 women’s fiction novel from US author Liza Palmer. It’s about Queenie Wake, who returns to her hometown of North Star after she gets fired from another restaurant job, after being accused of lacking imagination for her own cooking and having an unearned arrogance towards customers. Coming home to North Star is a mark of failure for Queenie, whose mother had the reputation as the town harlot and who – along with her older sister – was so despised for her mother’s behaviour, that she wasn’t even allowed to be with her childhood sweetheart. Everett is from the golden family of town, and while he and Queenie had been in love since they were pre-teens, and carried out an affair all throughout high school and college – Everett ultimately buckled and married a woman set up for him by his family. But what really drives Queenie to hate North Star is that it’s the place where her mama was murdered. Killed with a shotgun by her best friend, for sleeping with her husband in their marriage bed. So it’s even stranger when Queenie takes up a job cooking last meals at the local prison. A job that makes her feel both slightly queasy and wholly inspired, all at once. 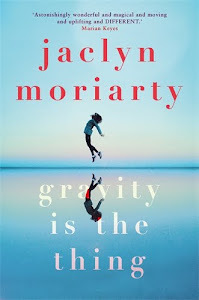 I really loved the start of this novel – with Queenie admitting defeat and coming home, getting to know her now grown nephew (and star quarterback) Cal, and reconnecting with her glamorous (if, downtrodden) older sister Merry Carole. I also loved getting to know the complicated and hurtful back-story to Queenie’s family and their bad reputation in North Star. But things started to get a little boring for me, ironically, when Queenie takes the job as preparer of last meals at the prison. This takes up a chunk of the story, when I really wanted focus on her romance with Everett and a potential new suitor, a professor called Hudson who is studying inmates on death-row. The Everett romance wasn’t hot enough, and the Hudson flirtation goes … weird. I loved Queenie’s family dynamics throughout, and her job is intriguing – I just feel like if the romance had hooked me more, it would have felt like a fuller, more full-circle novel. 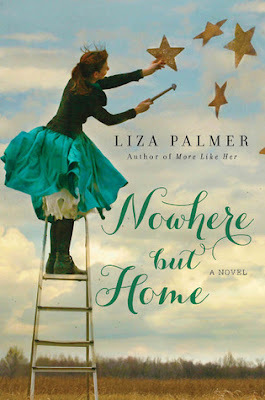 That being said, I have had a peek at the blurbs for a few other Liza Palmer novels and a couple of them sound a little more romance-focused, so I’ll probably venture to her backlist again at some point. Despite the oddballs that keep turning up on her dates, Anna couldn't be happier. As a 30-something with a job she loves, life has turned out better than she dared dream. However, things weren't always this way, and her years spent as the ‘Italian Galleon' of an East London comprehensive are ones she'd rather forget. So when James Fraser – the architect of Anna's final humiliation at school – walks back into her life, her world is turned upside down. But James seems a changed man. Polite. Mature. Funny, even. People can change, right? So why does Anna feel like she's a fool to trust him? Hilarious and poignant, ‘Here's Looking At You' will have you laughing one minute and crying the next. The new must-read novel from #1 bestseller Mhairi McFarlane. So I didn’t LOVE my last Mhairi read, before this one, as much as I’d hoped to – ‘Who’s That Girl’ certainly didn’t leave a bad taste in my mouth (um. It’s Mhairi McFarlane, I think it’s impossible for her to write a bad book?) 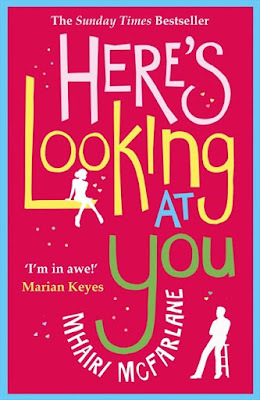 but truth be told, the blurb of ‘Here’s Looking At You’ is more up my alley… it reminded me a little of the 2010 Kristen Bell movie ‘You Again’ which is about a woman who was tormented in high school, discovering as an adult that her brother is about to marry her teen tormentor. ‘Here’s Looking At You’ is told in duel-perspectives (the only Mhairi novel to use this device!) – there’s Anna, who was regularly humiliated and bullied physically and emotionally throughout high school. She’s a grown woman now, with friends she adores and a job she loves – she’s even done a complete physical overhaul, and is deemed ‘beautiful’ by many, even if her newfound body hasn’t bought much more confidence or companionship. James wasn’t Anna’s frequent tormentor, but he was her high school’s golden boy and someone she privately pined for … until he partook in an awful public humiliation that scarred her for life. Nowadays James is a separated comms & marketing man, still with the handsome swagger, but somewhat dented these days since his beautiful wife of one year, Eva, left him for inexplicable reasons. James and Anna first cross paths at a high school reunion – where James fails to recognise her, and Anna thinks she has expelled her demons. Then they cross paths again when they’re thrown together for a project at Anna’s work, and while Anna still keeps her identity a secret, she tries expelling some of those demon-memories still lurking, by making James’s work life hell. Clearly I am a masochist, because I loved this Mhairi book – and honestly think it’s up there with my fave ‘It’s Not Me, It’s You’ – and possibly because I think the stakes are higher in both those books. ‘It’s Not Me’ has the female protagonist learning that her boyfriend is cheating on her, the night he becomes her fiancée. 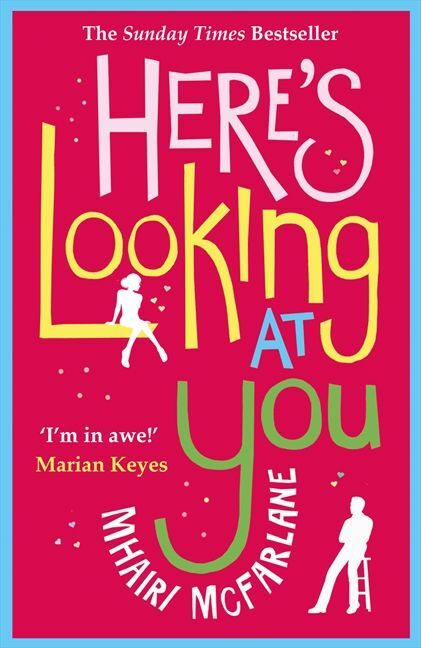 Similarly, the idea of being thrown together with someone who made your teenage years a waking nightmare is pretty darn high stakes in ‘Here’s Looking At You’ – and kudos to Mhairi, she never once pulls punches or mitigates circumstances. Anna was bullied and harassed, and it has left psychological scarring. James was an awful person growing up (and seemingly for some of his adult life) and so much of the book is dedicated to him figuring out the kind of person he wants to be, going forward. And it is really wonderful that their romance is a slow-burn that grows from friendship, not physical attraction. I will admit, it could have been wonderful if Anna hadn’t had a ‘She’s All That’ transformation to hotness – obviously a significant portion of the book is about James not putting two and two together and recognising Anna as the “freak” from high school … but since they were forced together for work, I could imagine an alternative take where she is still that awkward girl, and he doesn’t get given the luxury of wondering if he still would have fallen for her had she not undergone physical transformation. Honestly, at this point, if I have any qualms about Mhairi books it’s that she does tend towards “beautiful people” romance archetypes, and that particular trope of “beautiful people who don’t know that they’re beautiful”. And if any story of hers could have broken that trope for the better, it was this one. Barring all that – I still loved this book. I loved the duel-narratives, and the ‘Pride and Prejudice’ spin it took (particularly the use of James’s awful school friend as a stand-in for Mr. Wickham) I loved that Anna was a good person who didn’t have to change who she was, but James was the one who had a lot of work and personal overhauling to do to deserve her and be proud of himself. I read this one in a night, and now I am utterly bereft that I won’t have another Mhairi to dive into. But I am also feeling incredibly full from my gorging on her books and becoming part of the fan-club. My membership was long overdue, so thank you to everyone who constantly recommended her to me! When Edie is caught in a compromising position at her colleagues' wedding, all the blame falls on her – turns out that personal popularity in the office is not that different from your schooldays. Shamed online and ostracised by everyone she knows, Edie's forced to take an extended sabbatical – ghostwriting an autobiography for hot new acting talent, Elliot Owen. Easy, right? Wrong. Banished back to her home town of Nottingham, Edie is not only dealing with a man who probably hasn't heard the word ‘no' in a decade, but also suffering an excruciating regression to her teenage years as she moves back in with her widowed father and judgy, layabout sister. ‘Who’s That Girl?’ was the 2016 rom-com novel from UK author, Mhairi McFarlane. Okay – well – I broke my own damn rules with this one. I’d been so happily ploughing through Mhairi McFarlane’s entire backlist, working on the assumption that she had a new book coming out this year and it didn’t really matter if I got through all her books, if a new one was on the way. Then – according to Goodreads – the release date of her next book has apparently shifted to 2019. Egads! Suddenly the realisation dawned that once I got through ‘Who’s That Girl?’ and ‘Here's Looking at You’ – I’d have nothing left. I needed to start rationing my reading … well, that lasted a week. And maybe it’s because I forced myself to slow down *ever so slightly* with this one, but it is so far my least favourite Mhairi book (and further confirmation for me that I don’t think ‘It’s Not Me, It’s You’ will be knocked from my top spot?). It may be the one that promises to be a modern ‘Notting Hill’ with an ordinary woman falling for a rising film and TV star, but I found it to be the most drawn-out and at times, a little bit clunky and cumbersome. So – as with so many Mhairi stories, this book’s premise and the downward-trajectory arc of the protagonist begins with cheating. When copywriter Edie is spotted getting snogged by the groom at his own wedding, it release a maelstrom of online hatred and office abuse – forcing her boss to send her back home to the wilds of Nottingham to ghost-write the autobiography of ‘Game of Thrones’ knock-off heartthrob, Elliot Ownes. But what starts as hostility eventually turns to curiosity, sympathy and then genuine affection between the two of them. And then the complications really kick in. Right, so – first of all – a lot of stuff happens in this book, and I was a bit surprised to discover that the first considerable chunk of set-up takes up nearly 100 pages, dealing entirely in Edie’s scarlet-woman accusations at the wedding. It takes nearly 100 pages for Edie and Elliott to even meet, which … is a long time, in a romance. Or am I nuts? I mean; it probably took that long for Delia to meet Adam too. But it was still sort of frustrating that the set-up in ‘Who’s That Girl?’ works to establish that Edie did not want to be kissed by her co-worker Jack, at his wedding to her other co-worker, Charlotte – frustrating because I think the rest of the book injected that first-half set-up a little clunkily into the falling-for-a-celebrity second-half that the book became? I think Mhairi is a wonderful romance author who raises really great points about the grey-areas of love, and she will often add layers of complication so cheating is never straight-up, black and white and there are always two sides to a story … in this book though, I think I wished Jack had gotten to be more of a character to really create push-pull for Edie, but as it is – it’s established that they had an office flirtation (“work wife” is never uttered, but probably noxiously appropriate) then the wedding debacle happens and he’s cut adrift and repeatedly written as an absolute wanker. So I think I slightly missed the nuance and subversive tropes that Mhairi so often plays around with flipping in her works, because Jack is never a contender for anything but antagonist? As to Elliot Owen, the proper romantic interest of the story … look, yeah – lovely. He’s an actor off the back of a popular Game of Thrones-esque TV show in which he played a loincloth-clad prince. Apparently there’s much fan discussion in the books community as to whether he’s more a Kit Harrington or a Richard Madden, though I think his storyline and breakout popularity sounds more like the Jason Momoa trajectory (even though Elliot is physically described as being closer to Harrington and Madden) … but, honestly, envisioning Michiel Huisman worked better for my imagination. Overall though, Elliot was just a bit blandly lovely for me. There’s even something added to his background to try and make him more complicated and multi-faceted, but again – this was given so little treatment that it didn’t dig deep enough to matter. I really liked the establishment of secondary characters in this – Edie’s friends Hannah and Nick, her sister Meg and father (and a tragedy in her family’s past was a sharp, bitter exploration well done) … but again; these characters felt like they fell by the wayside. Her depressive friend Nick, in particular, I was hoping to get a fuller back-story and maybe some sort of resolution? There’s also an older neighbour that Edie befriends who I thought would add another dimension to the plot – but that also went nowhere, and fell away too easily. 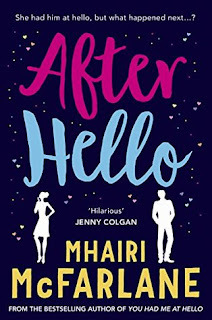 I will also say that something else I love about Mhairi’s books is how self-fulfilled her female characters are, and how much of a focus is on their personal and professional happiness. Often, in fact, they need to find meaning in their work life to have happiness in their romantic one – and that’s so true of life, and something I commend in all her books. 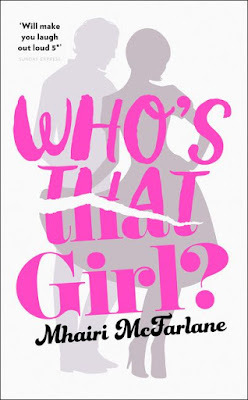 But in ‘Who’s That Girl?’ I struggled to see why Edie liked her job so much … given that her being bullied is so poignantly portrayed, and this job ghost-writing Elliot’s memoir is a spur-of-the-moment, not-her-usual gig. I didn’t really know why Edie liked her job, basically. Which is a problem, when it becomes a big part of how the ending pans out. Speaking of – THAT ENDING! I literally could have screamed “that’s it?!? ?” when I saw those last words. I think – in harking back to the ‘Notting Hill’ comparison – I was waiting for my big Horse and Hound bit, and a culmination in a similarly big declaration scene – like that of the press conference in that film too. Basically – I was waiting for a more movie romance ending with a bang, but I guess what Mhairi had been trying to establish was that Edie and Elliot’s romance is grounded in reality (because at the end of the day, he is just a normal bloke) and there’s an appropriately quiet ending to reflect that. So yeah, bit of a fizzer for me. Also –one of my favourite scenes to make me blubber in ‘Notting Hill’ is that final image of Hugh Grant and a pregnant Julia Roberts on the park bench ("To June who Loved this garden ... from Joseph, who always sat beside her") and I just love the domesticity of that moment, *even* as she’s still a big film star, they’ve clearly made it work. And I guess with ‘Who’s That Girl?’ I would have appreciated a few moments exploring that domesticity. What’s it actually like, dating a film star? How do you cope? Do bizarre things just become the new normal? Yeah. I think I’d been hoping that this book took that momentary fave scene from ‘Notting Hill’ and based the story around that image a bit more. More fool me for presuming where the story would go, but there you go. Overall – I did like this book, but I didn’t LOVE and ADORE it like I am the others of hers, so far. I still wanted to rush to the end, I laughed and swooned … but maybe not quite as hard as previously. What happens when the one that got away comes back? Find out in this sparkling comedy from #1 bestseller, Mhairi McFarlane. Rachel and Ben. Ben and Rachel. It was them against the world. Until it all fell apart. It's been a decade since they last spoke, but when Rachel bumps into Ben one rainy day, the years melt away. They'd been partners in crime and the best of friends. But life has moved on: Ben is married. Rachel is not. Yet in that split second, Rachel feels the old friendship return. And along with it, the broken heart she's never been able to mend. Hilarious, heartbreaking and everything in between, you'll be hooked from their first ‘hello'. Okay. So. Clearly I have drunk at the fountain of obsession and am deep-diving into Mhairi McFarlane’s backlist with utmost glee. 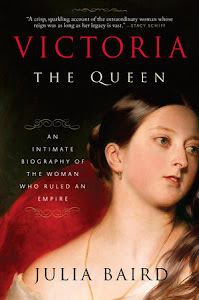 And everyone I know who originally recommended McFarlane to me, have said that they only love her books in varying increments of A RIDICULOUS AMOUNT – some instil slightly more swoony obsession, but they all get top-marks and it’s only infinitesimal degrees of preference. So – ‘You Had Me At Hello’ is about 30-something Rachel who has just broken off her 13-year relationship (and engagement) with Rhys after realising she was settling for “good enough” but the love was depleted. 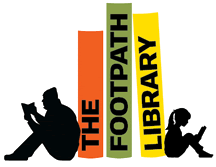 Rachel is getting on with life ‘back on the shelf’ and concentrating on her life as a court-reporter – when her friend Caroline announces that she’s seen ‘English Ben’ from their university days at the local library. This sends Rachel into a tailspin – as ten years ago, Ben was her love that got away … and she’s never got over him. 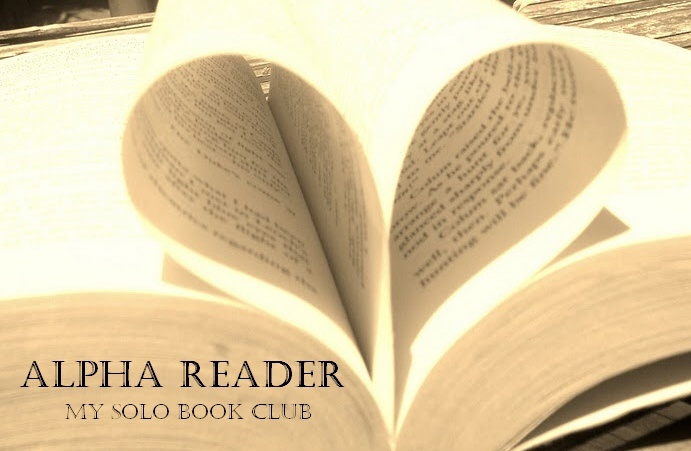 Against the better judgements of her heart, Rachel orchestrates a ‘bumping into’ Ben that rolls the years back and keeps her on a ‘Sliding Doors’ hamster-wheel of “what if?” thoughts. It gets worse when Ben says he and his wife have moved to Manchester permanently, and the two of them ingratiate Rachel into their group of friends. This is more of the good stuff from McFarlane, who I am really appreciating as a writer of these sorts of ‘Macbeth’ years of early-30’s for women. Her two protagonists I’ve read so far have had to make big decisions to totally upheave their lives in their 30’s – the point at which they thought everything was settled and they were on the right track to their bright futures (until a spanner is put in their works and they realise they might want to get off these tracks before there’s a crash). It reminds me of my favourite line from Macbeth; "I am in blood stepped in so far, that should I wade no more, returning were as tedious as go o'er.” Maybe that’s a touch too melodramatic, but it’s the only metaphor I can think of that perfectly captures this “what the F am I doing with my life??! ?” moment that I – as a 30-year-old myself – can so utterly relate to and that McFarlane so beautifully winds her words around. 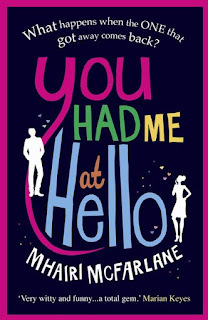 ‘You Had Me At Hello’ is this really lovely Jonbar hinge (fancy way of saying ‘Sliding Doors’) romance wherein Rachel is suddenly forced – ten years later – to really examine the “what if?” of following her heart. Some parts of this book strongly reminded me of Australian YA author Laura Buzo’s ‘Holier Than Thou’ from 2012, which is also a book about a school romance-that-never-was niggling at a protagonist and forcing her to examine her life’s decisions (is this also a good time to ask – where’s my new Laura Buzo book already?! I love her, I want new stuff!). But while I had wished at the time that ‘Holier Than Thou’ had been more romantic-upbeat, I was relieved that McFarlane delivered on that aspect. And on that note – I did say that the best romances, much like fine meals, should leave you hungry for one more mouthful (even if it is just of mushy, syrupy happily-ever-after stuff!). But with ‘You Had Me At Hello’ I’ve gotta say, I was a little worried at where we ended up. I can only thank the reading Gods that I came to this book in 2018, and had the follow-up short-story that was released to dive into straight after – which did answer some of my leftover niggling questions about where we left these characters. In that sense, I don’t think I was quite as … content, with the ending as I wanted to be? That being said – maybe it’s also because I can still see this particular world that McFarlane has created being opened up yet again? I could 100% see a sequel being written that revisits these characters in yet another stage of their lives? Because it wasn’t just that Rachel and her romance was so fascinating – but the secondary characters around her too were divine. Best friends Caroline, Mindy and Ivor had interesting storylines themselves and ones I wouldn’t mind following further. Though I will say two more secondary characters – Ben’s wife Olivia and colleague Simon – were less successful for me. They tended toward cliché, whereas I so loved that in ‘It’s Not Me’, nobody played to type and made the story more interesting for it.